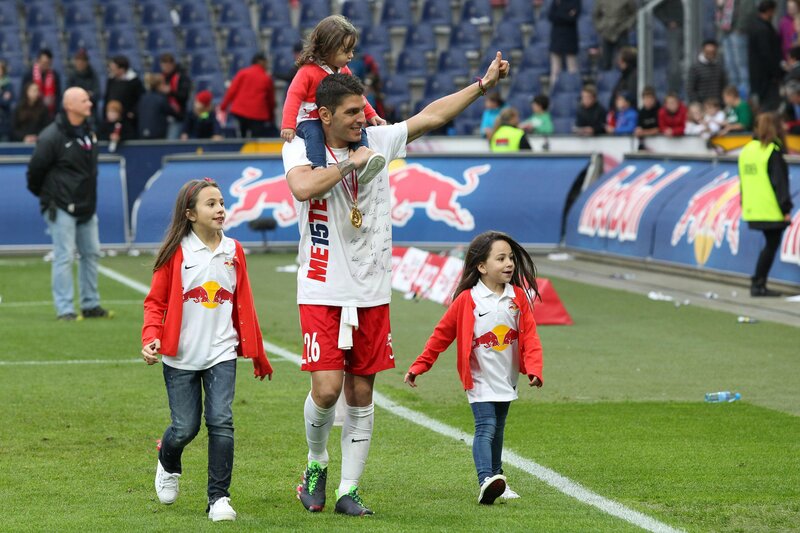 there can hardly be any FC Red Bull Salzburg player who has been so loved by the fans and has made such an impact on austrian football as Jonatan Soriano. he has created sensation after sensation, finishing top scorer three times and twice being crowned austrian footballer of the year. 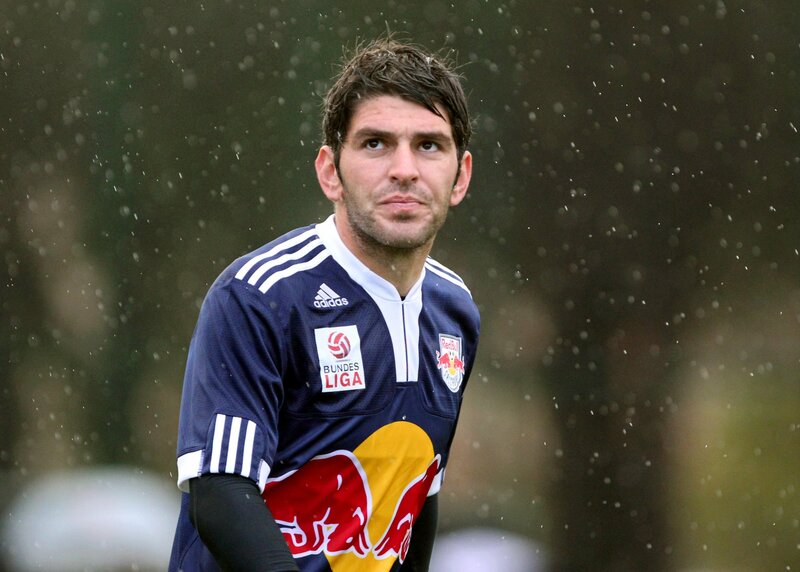 we would like to wish Jonatan Soriano all the best on his future career in china. 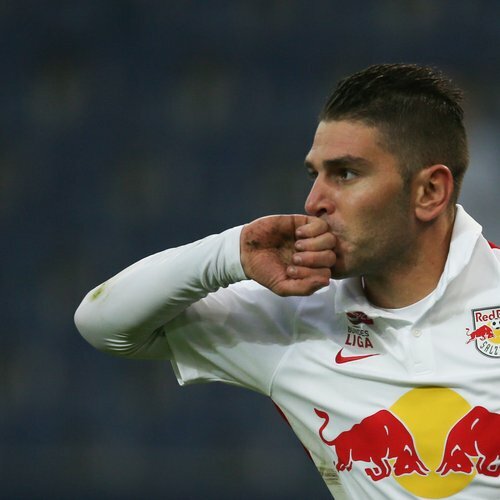 Shortly before the closing of the Chinese transfer window tomorrow, Jonatan Soriano has left FC Red Bull Salzburg for the Chinese Super League, signing a two-year contract with Beijing Guoan. 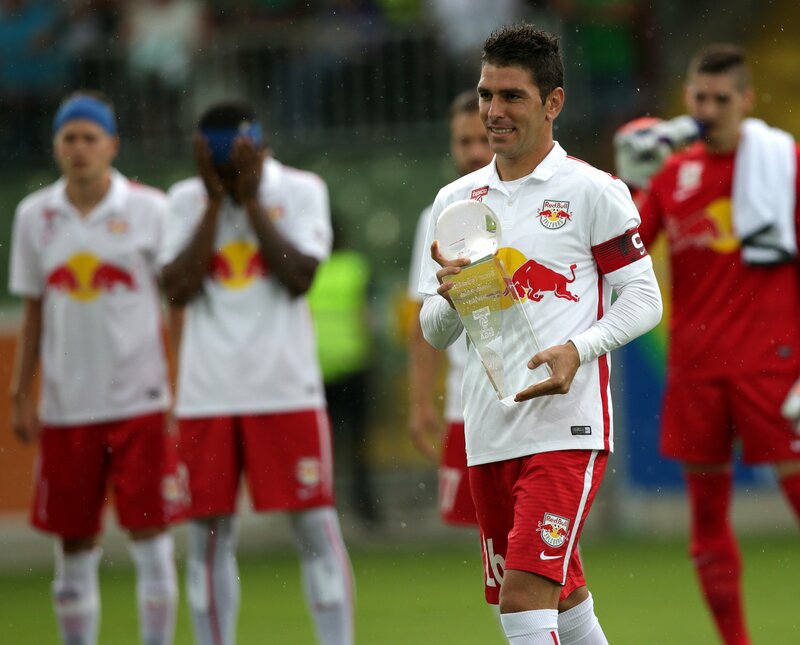 The 31-year-old Spaniard has played for the Red Bulls for five very successful years, in which he has made 202 competitive appearances (144 in the Austrian Bundesliga, 37 in Europe, 21 in the Austrian Cup), scoring an extraordinary in 172 goals (120/27/25). 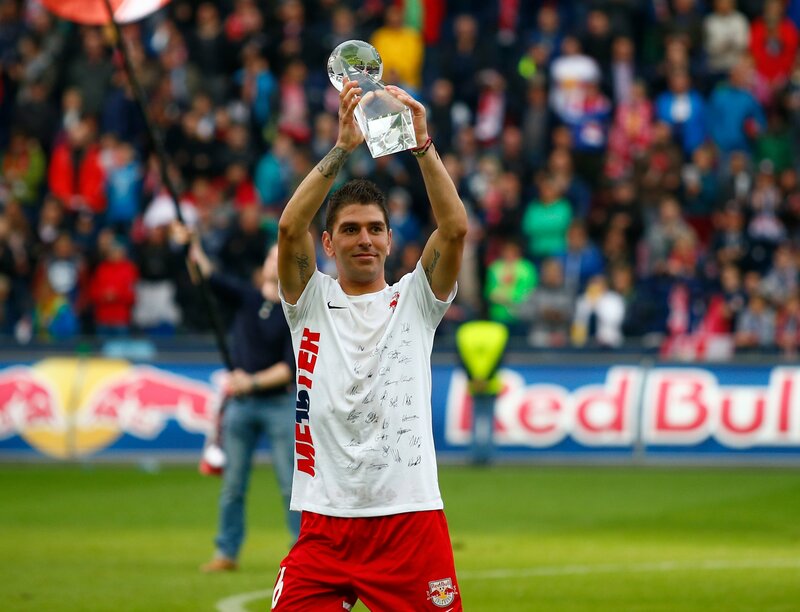 Along with four league titles and four cup wins with Salzburg, Soriano has finished top scorer in the Austrian Bundesliga three times, taken the trophy as top cup scorer twice and once was top scorer in the UEFA Europa League. Jonny recently asked us if he can negotiate a contract with the Chinese club. As he expressed a clear wish to join another club, and due to the extraordinary conditions of this transfer, we eventually agreed to his wishes and approved the transfer. Of course we are very sad to see him go. Our pride to have seen a player of his class in Salzburg for so long who has played a major part in our successes with his fantastic goalscoring figures is even greater. We are going to follow his progress and we wish him all the very best in his football and off the pitch. We look forward to the challenges of the coming weeks, and we are convinced that we are going to be successful with our current squad and achieve our aims. 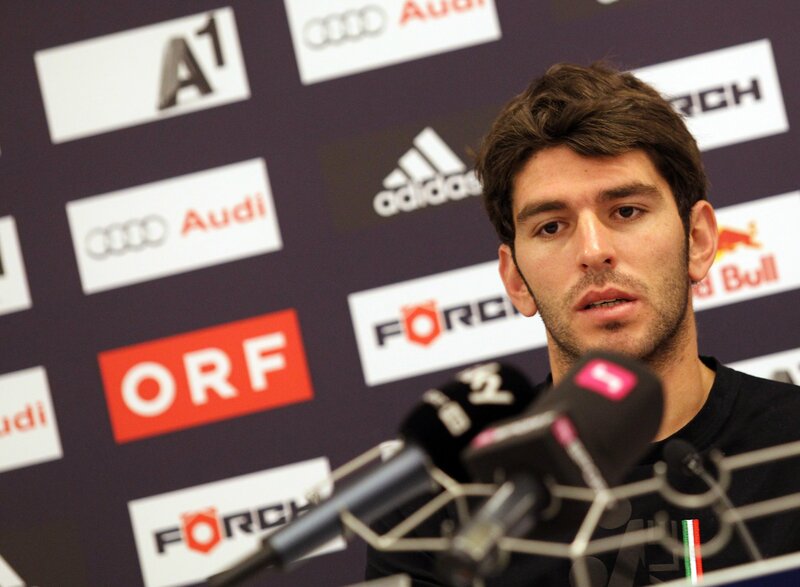 I am now 31 years old, and I think that a convenient time has come to take on another big new challenge in football. 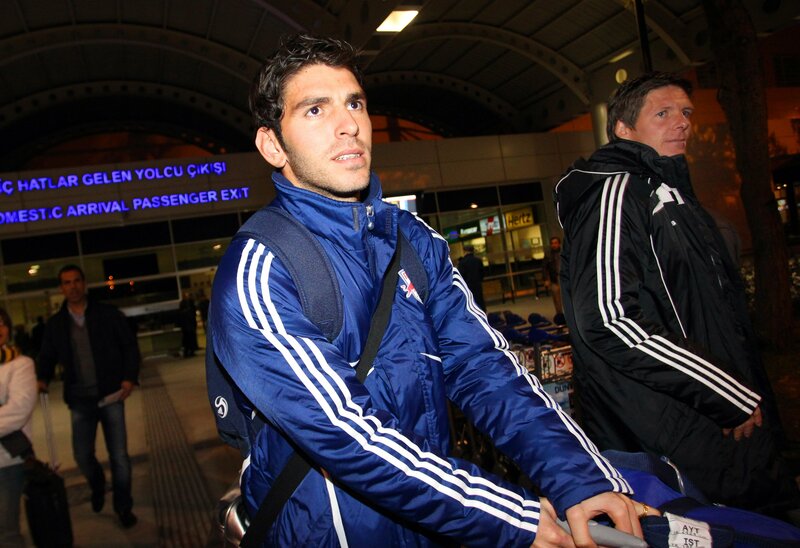 Things went very quickly in the end, and the discussions with Guoan lasted only for a few days. 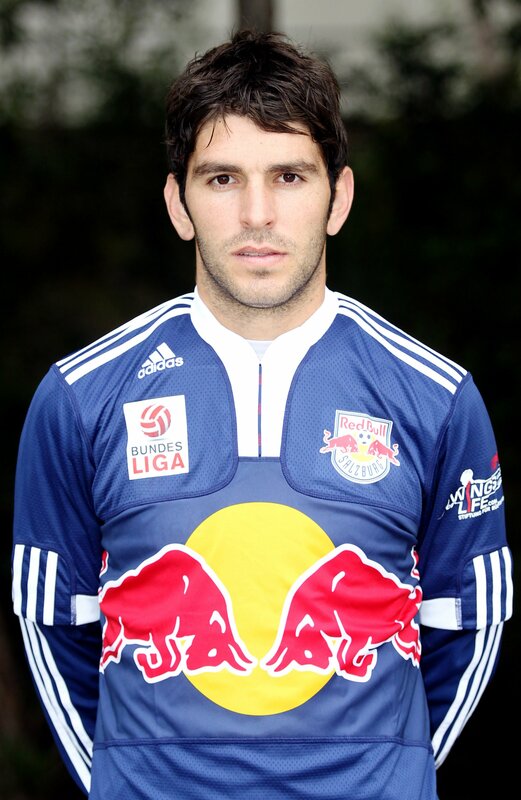 I would like to take the opportunity to thank Red Bull Salzburg for allowing me to proceed with the negotiations. 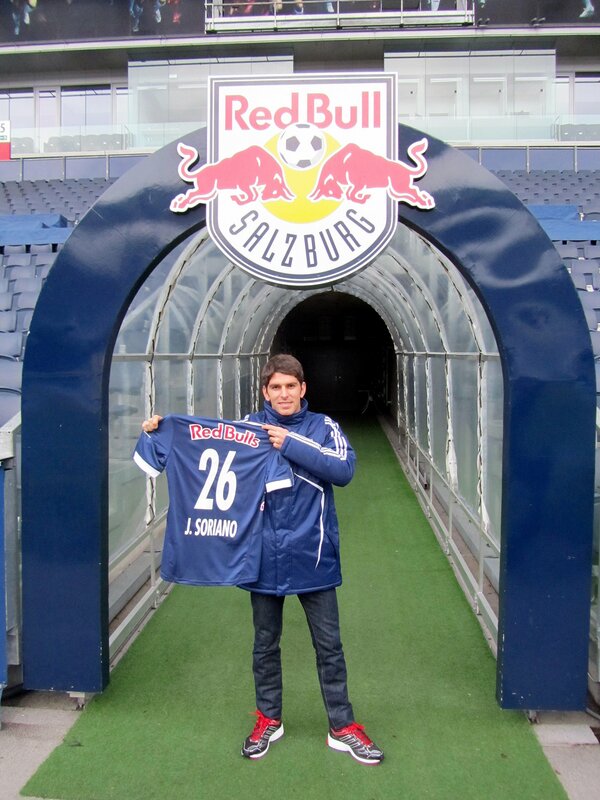 These have been five extraordinary years in Salzburg. We have achieved fantastic successes, and I will never forget this time. 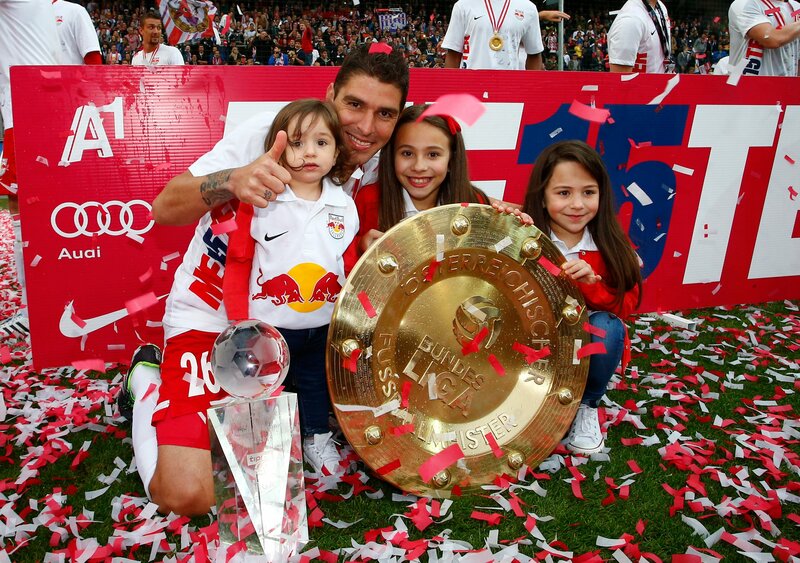 I wish the club and my former team-mates all the best for the future. 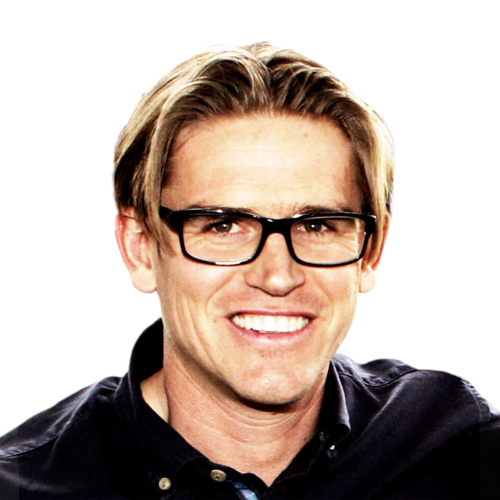 The team has a lot of young and talented players with great potential, and is sure to continue to be successful. One of the records that the Spaniard broke last year was the milestone Zlatko Kranjcar set in the 1980s for the top scoring foreign player in the Austrian Bundesliga. The Croat played for six years longer in the Austrian top flight, and needed to make 213 league appearances for his 108 goals. 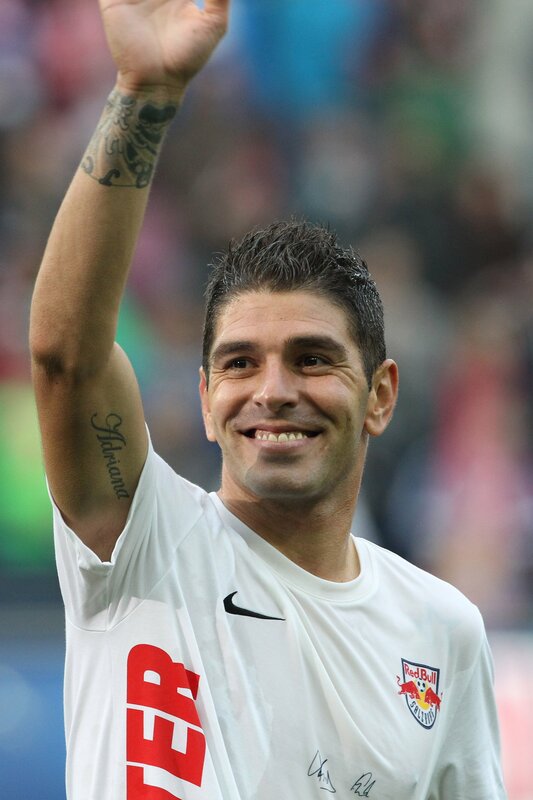 Jonatan Soriano signed in January 2012 from the FC Barcelona B Team and scored his 108 goals in just 124 Austrian Bundesliga matches – over just four years. 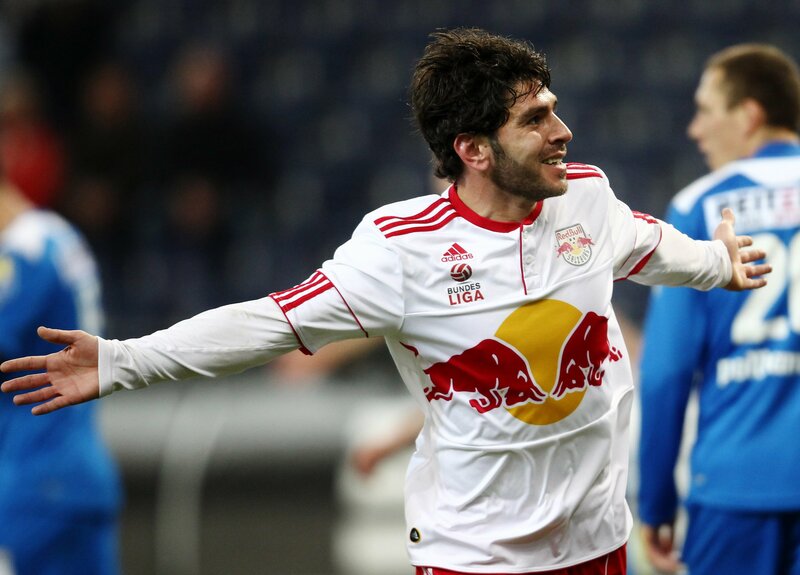 Jonatan Soriano still has an incredible scoring ratio (currently 0.83 goals per match) that overshadows even the likes of Austrian football legend Hans Krankl (0.72 goals per match). 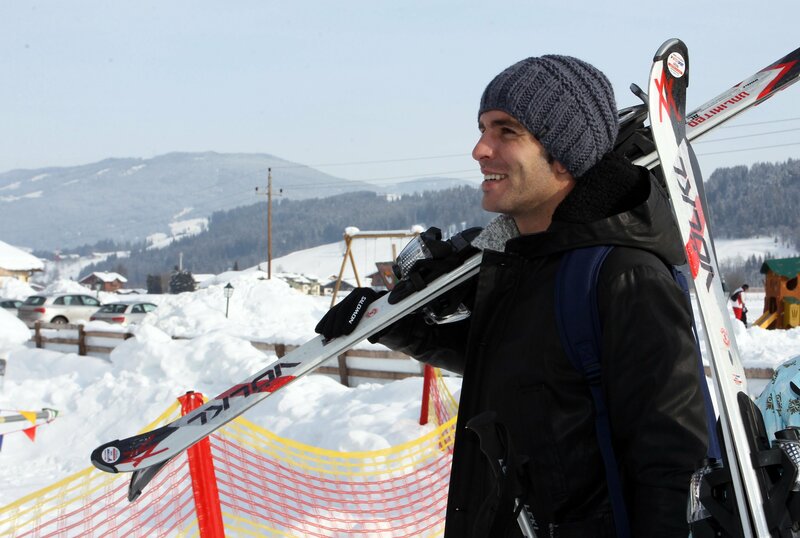 He is in 11th place in the all-time Austrian Bundesliga scoring charts just behind Toni Polster (122 goals in tenth). His Bundesliga record has even more fascinating elements. He has scored 102 Bundesliga goals from open play, 34 of which have decided matches. He has also converted 18 penalties and free-kicks. 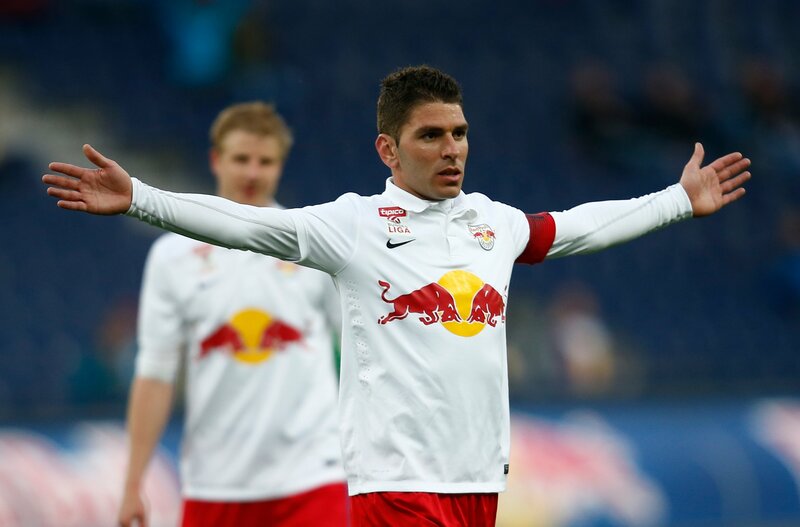 Jonatan Soriano scored a hat-trick he will never forget on 20 April 2013 in a home match against Wolfsberg AC. 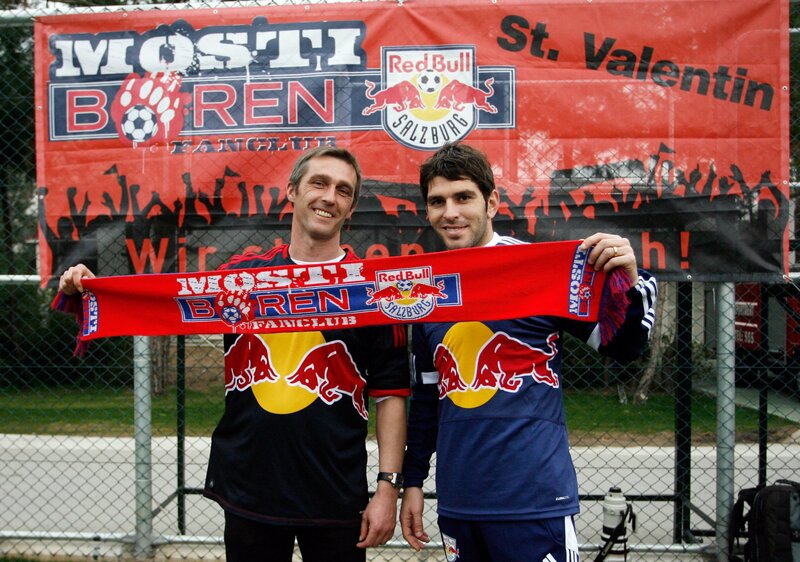 It is a remarkable story that saw our captain forever taken into the hearts of Salzburg fans. 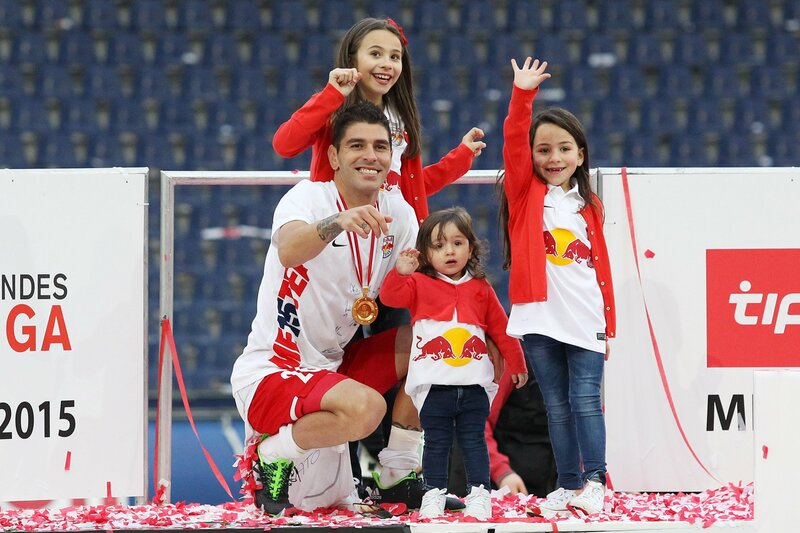 As the match was kicking off, his wife Cristina was giving birth to their third daughter, Abril. On the way from the hospital to the stadium he told Roger Schmidt, the coach at the time, with all the excitement that only a new father can know, that he would be at the ground in time for the second half and would like to come on as a substitute. 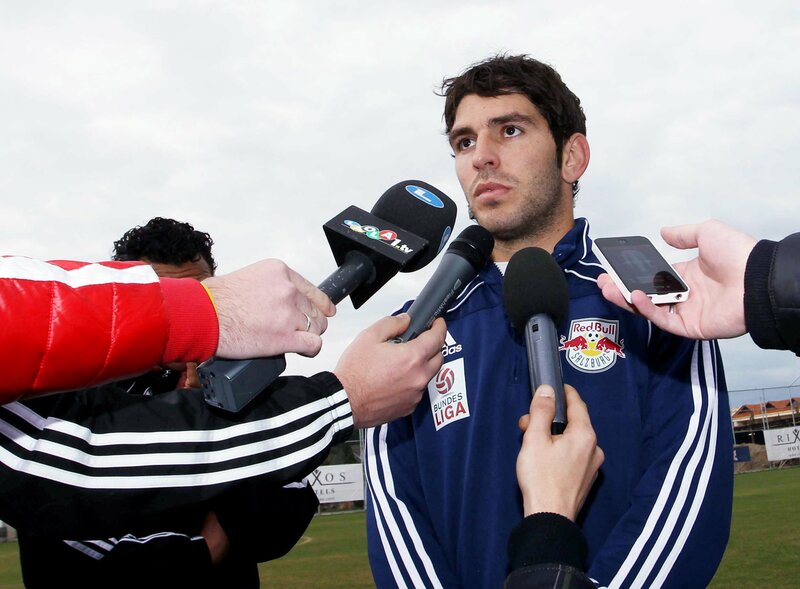 He did just that, and the delighted new dad went on to score three goals in the second half for his first Red Bulls' hat-trick. More were to follow, however. 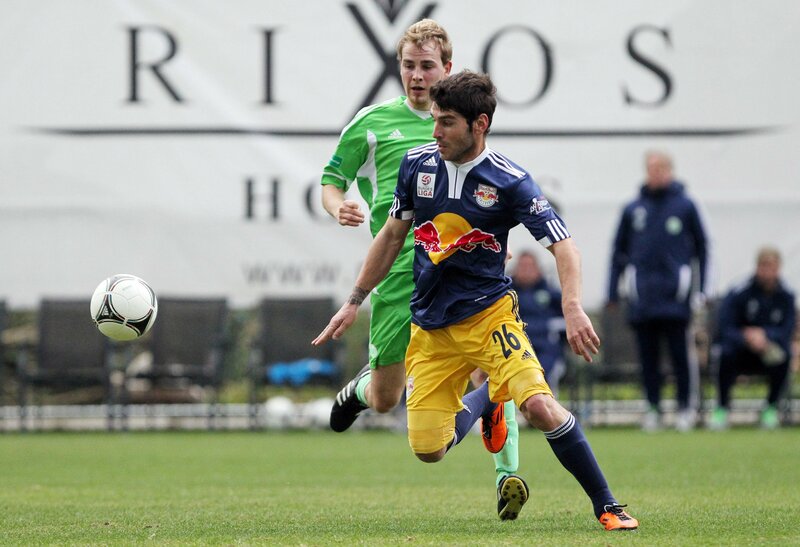 In the 2013/2014 season that followed, he scored hat-tricks against SC Wiener Neustadt, SV Grödig, Rapid Vienna and Admira Wacker Mödling. Jonny then went on to haunt Rapid again in the opening match of the 2014/2015 season. 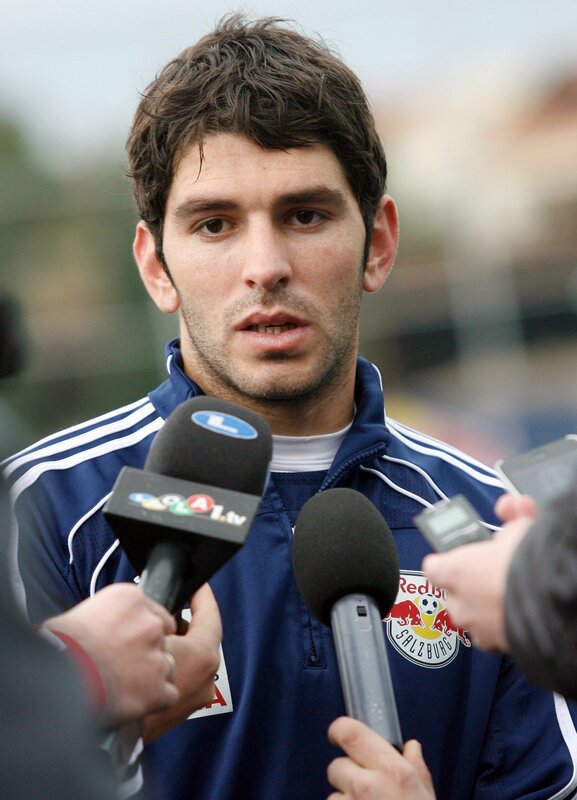 The Red Bulls, as reigning champions, secured a sensational 6-1 home win, with Jonatan Soriano scoring three goals. 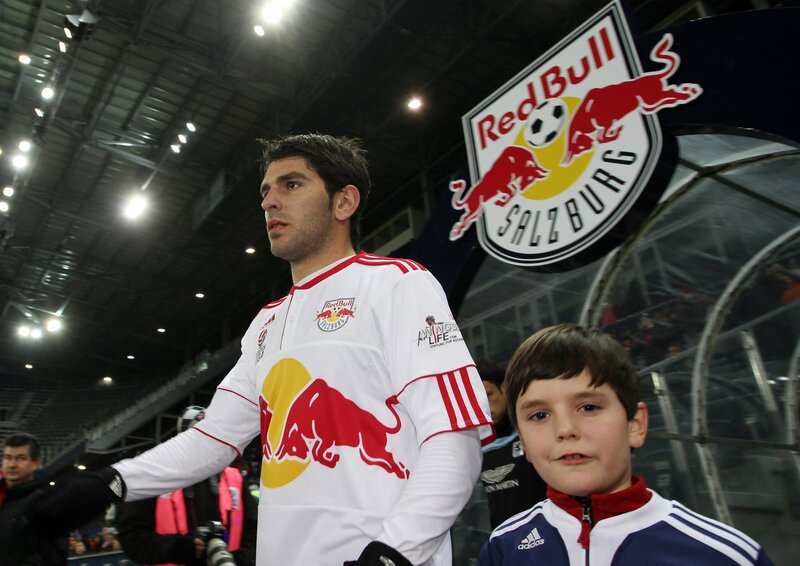 Last season SV Mattersburg happened to visit the Red Bull Arena when our captain was at his clinical best. 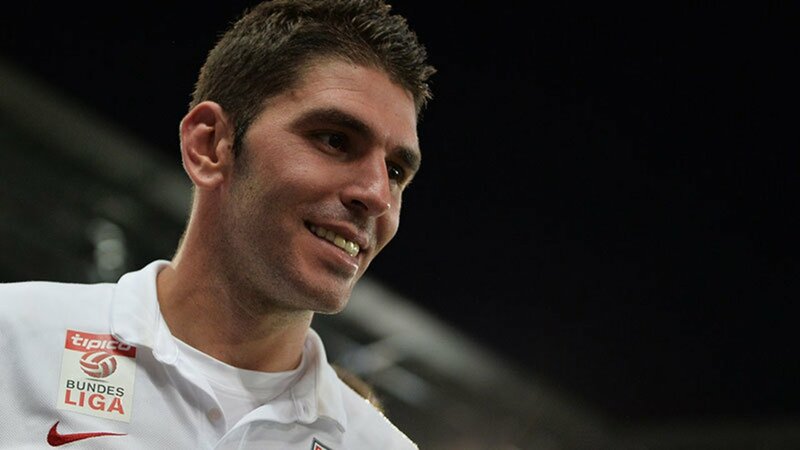 After a long injury break and frustration at the club about the early exit from the Europa League, Soriano was understandably not happy and let his feelings be known. He saved his best statement to be delivered by his right boot, however, which scored four goals that evening. 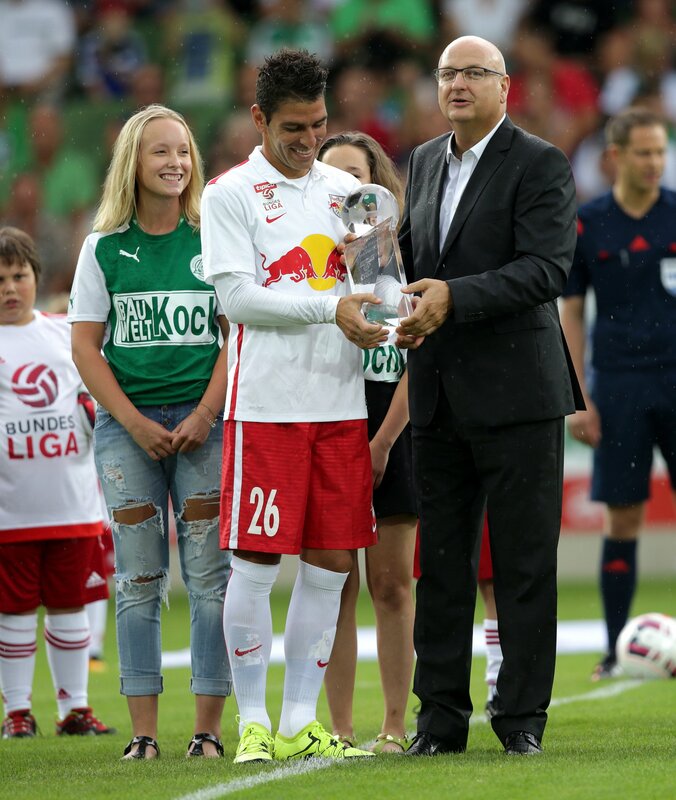 Johnny's biggest ever scoring success came on 10 August 2014 in the 4th game week of the 2014/2015 season against SV Grödig. 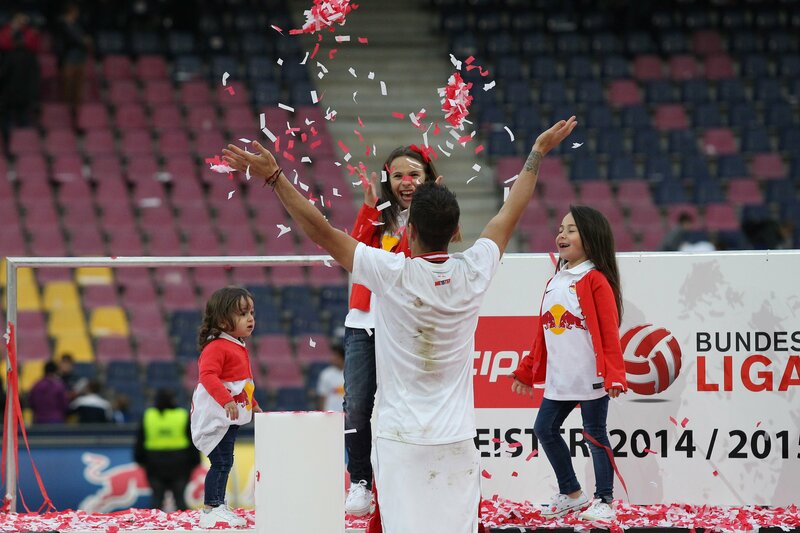 He scored an unbelievable five of the team's eight goals in the Salzburg derby, helping the club to their biggest ever win. I think the best thing about being married to Jonny is to experience getting through difficult phases or moments together as a family. It's great to see when your husband scores a goal and kisses his wedding ring, looks at you and shares his joy with you. It's a recognition of the hard work you put in and the sacrifices you have to make for everything to work out. All that makes me very proud to be married to my husband.